After Shave Cream for tired and stressed skin. Soothes the skin after shaving and leaves it deeply moisturized. A composition of healing and nourishing ingredients restores skin that is stressed and irritated from shaving. The Aftershave cream is also quickly absorbed and leaves no oily shine. The only things left are a wonderful feeling on the skin and an attractiveness that women won’t be able to resist. 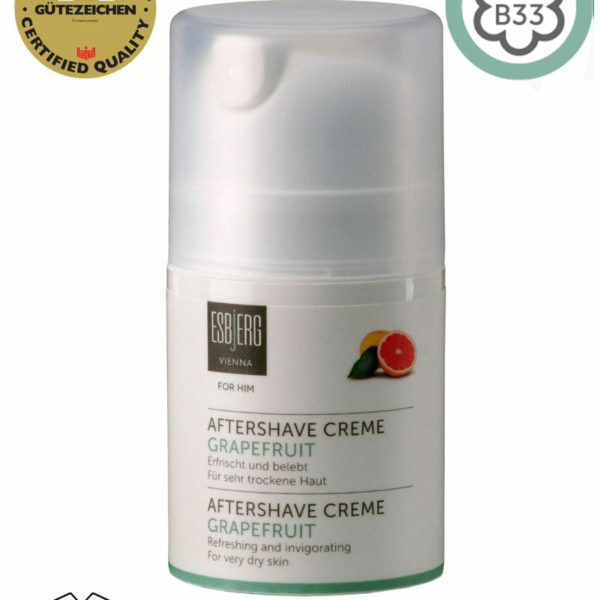 The Aftershave cream is tenderly scented with grapefruit. Studies have shown, that using products with the scent of this fruit will make you appear up to 5 years younger. Apply the Aftershave Cream in the morning and during the night even without shaving. Natural vitamin E obtained from sunflower oil is one of the skin’s most important antioxidants. It also helps to restore the moisture of your skin and prevents it from inflammatory skin. Sage strengthens collagenous fibers. The contained ursolic acid blocks metalloproteinases, which are responsible for decomposition of collagenous fibers in the skin. Rosemary has antioxidant, anti-microbial and anti-inflammatory effects. Shea butter contains a lot of vitamin A and E, beta-carotene and allantoin. It has moisturising and healing effects and promotes cell regeneration. Apply the aftershave and gently pat it into the skin. 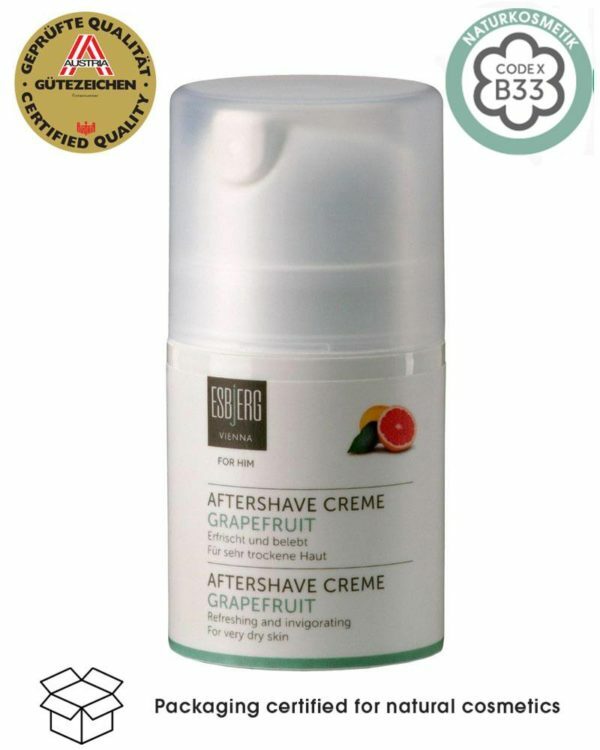 The aftershave cream is suitable for the daily face and neck care.